Organisers of the UK’s new national trade show for the electrical industry are delighted to announce that the NICEIC, the UK’s leading voluntary regulatory body for the industry, is the latest major organisation to commit to exhibiting at the Electrical Design and Install Expo (ED&I). The event takes place at the internationally renowned NEC, Birmingham, in the heart of the UK on 6th-7th September. The NICEIC has been assessing the electrical competence of electricians for nearly sixty years and has on its books over 26,000 registered contractors. Show organisers say the move from this highly respected trade body is a further endorsement of ED&I and its commitment to provide the national event the industry needs. ED&I has been set up to deliver a wide ranging national trade event to serve the electrical contracting industry covering electrical engineering and electrotechnical design, installation, inspection, testing, maintenance and monitoring. The show will achieve this by delivering a packed exhibition floor with hundreds of exhibitors and brands, vital learning experiences via the show’s seminar programme and networking opportunities. 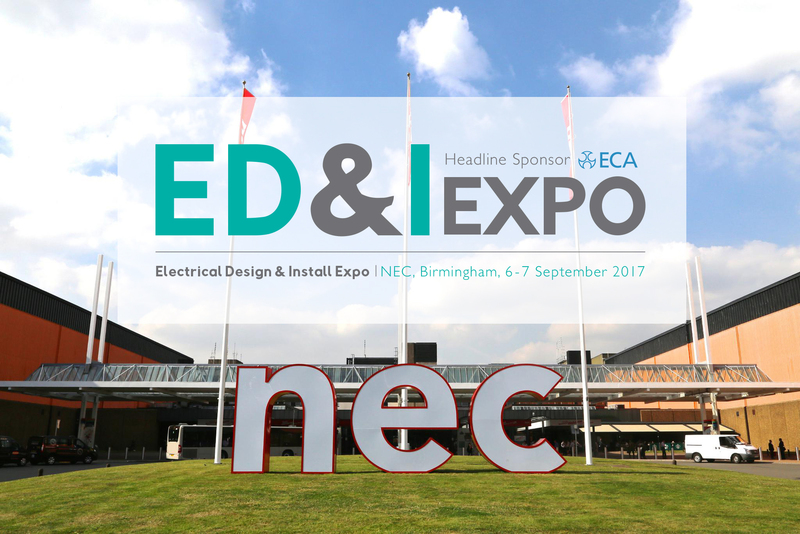 Providing much of the content for the seminar theatre will be the Electrical Contractors’ Association, main sponsor for the show. The event will also play host to important industry events such as the Regional Business Forum held by the Electrical Distributors’ Association. Such a packed programme is attracting the very best and most important names in the business with NICEIC now completing their sign-up process. The NICEIC provides a number of products and services specifically tailored to help contractors meet the changing nature of the construction industry. This includes training, technical advice, certification and information on all the latest industry developments.The organisation’s aim is to help companies see past short term survival and create long-term planning. The NICEIC’s success down the years has created a strong reputation amongst consumers, specifiers of work and wider industry for promoting safety, integrity and technical excellence. This reputation has been created by ensuring NICEIC contractors undergo a rigorous assessment process, covering a representative sample of work, premises, documentation, equipment and the competence of their key supervisory staff. Members are then re-assessed on a regular basis to ensure continued compliance. Benefits of membership include increased business opportunities for contractors via multiple scheme certifications designed to support contractors for any type of work or industry they operate within. NICEIC delivers schemes for Approved Contractor, Part P Schemes, Microgeneration (MCS) and Green Deal with further scheme opportunities also available. NICEIC also provides its Platinum Promise, which provides assurance to member’s customers that any work that has not been carried out in compliance to the building regulations will be rectified. It lasts for six years, up to a limit of £25,000. Organisers of the event urge industry stakeholders to keep an eye out for further big names signing up for the show in the coming days and weeks.